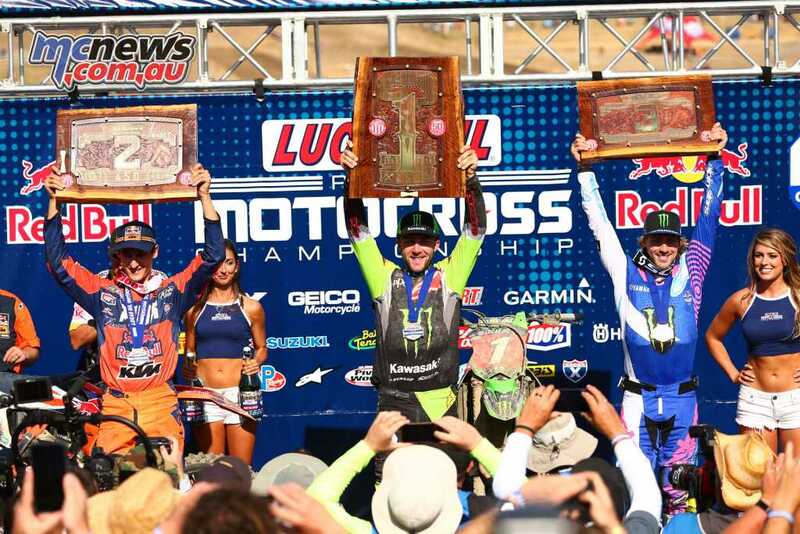 The highly anticipated Lucas Oil Pro Motocross Championship got underway last Saturday under clear and sunny skies for the 50th running of the Red Bull Hangtown Motocross Classic and it was Eli Tomac and Zach Osborne who swept to duel moto wins in the 450 and 250 classes respectively. 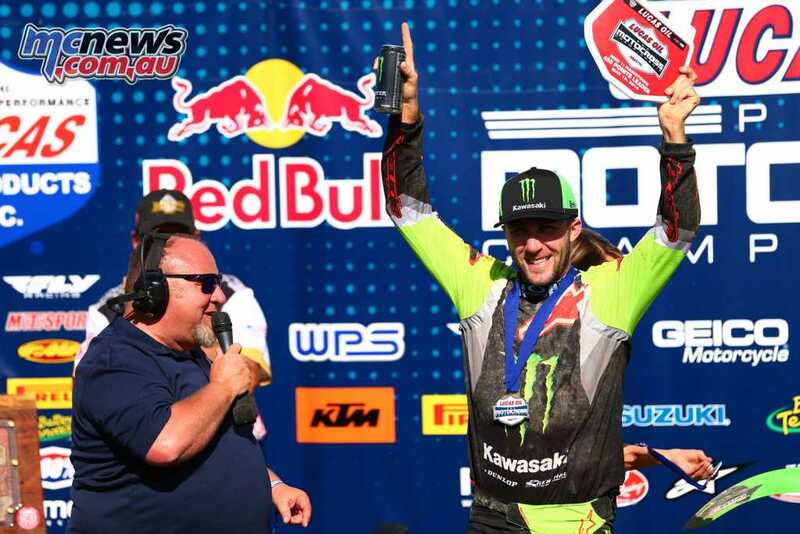 Tomac is the first rider since Chad Reed in 2010 and 2011 to win back-to-back Hangtown Classics despite the challenges of less than stellar starts in either moto and dealing with Marvin Musquin in both motos AND a small crash in moto two to score his 10th AMA National win of his career. 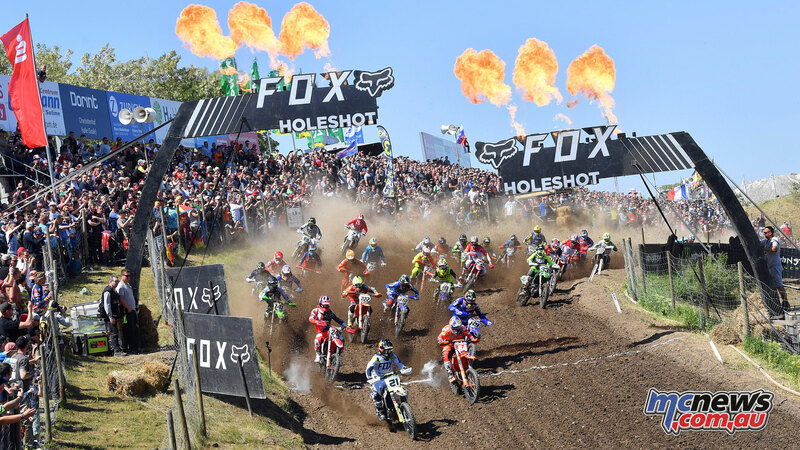 The technically challenging track was at time made look easy by Musquin but the French star couldn’t match Tomac’s speed – this time. 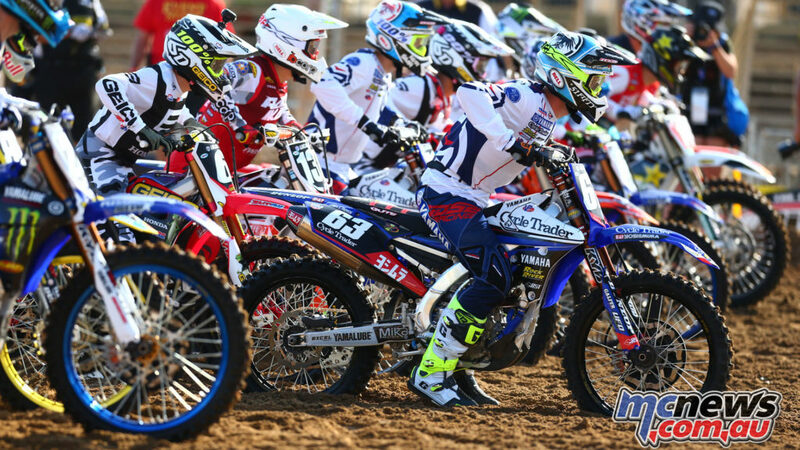 Yamaha will be wrapped with Justin Barcia’s effort of two third placed finishes to earn the final podium finish ahead of Anderson (4-6) and Blake Baggett who suffered poor starts to finish the day with 7-4 finishes while Ken Roczen’s return to racing earned the factory Honda rider 11th overall with 6-14 moto finishes. 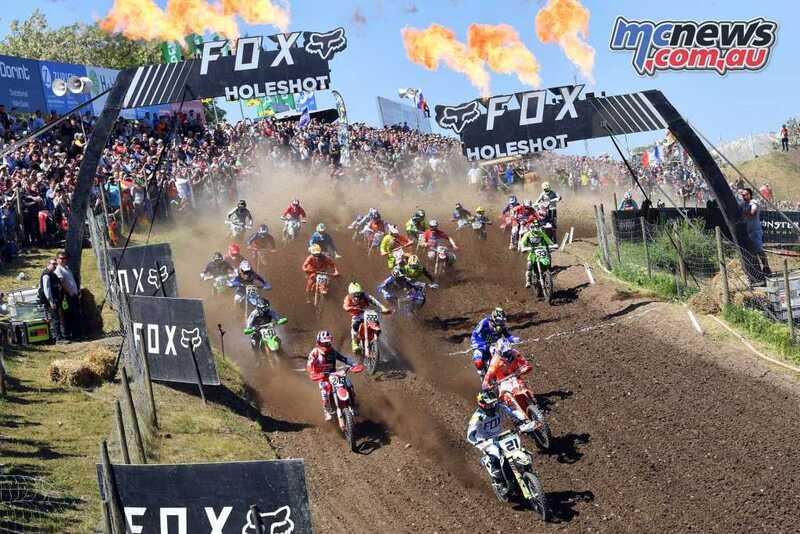 Christian Craig scored the holeshot in the opening moto as did Phil Nicoletti in the second moto while multi New Zealand motocross champion Cody Cooper had a great start to the championship with 15-12 moto results to finish 13th overall for the round, just six points shy of a top ten finish. 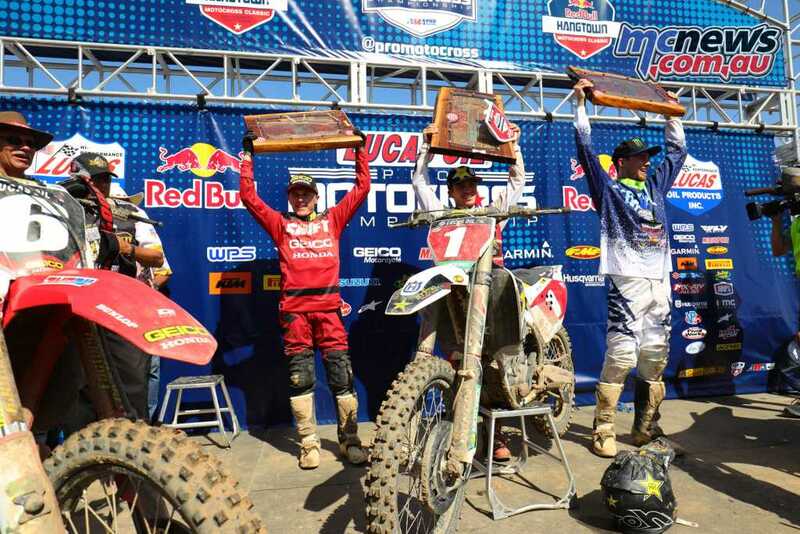 Osborne became the third rider in the past eight seasons to win back-to-back Hangtown Classics, and it’s his second straight 1-1 sweep at the season-opening round while Jeremy Martin’s pair of runner-up scores gave him second overall ahead of Aaron Plessinger finished third at this event for the second consecutive season (3-4). 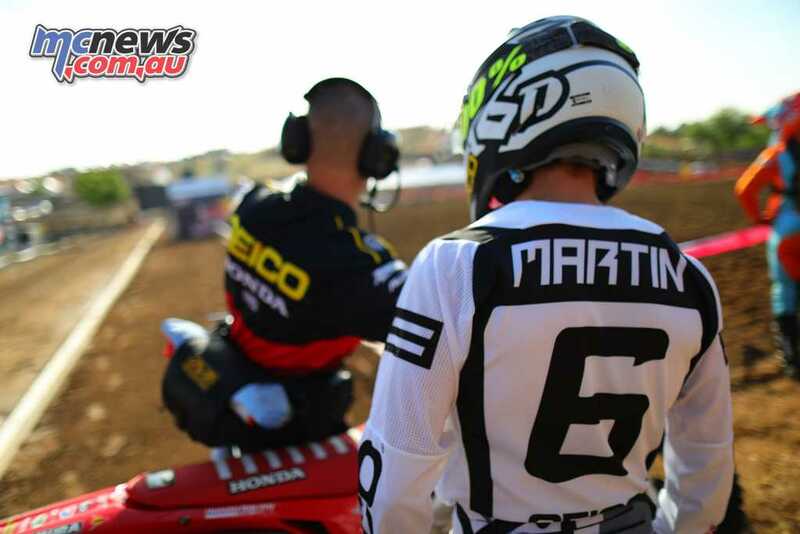 Austin Forkner started the season with a holeshot in the opening moto before young Justin Cooper took over and got to lead a heap of laps while Jeremy Martin scored the holeshot in the second moto ahead of his brother Alex who ended the day in fourth overall with 7-3 results. 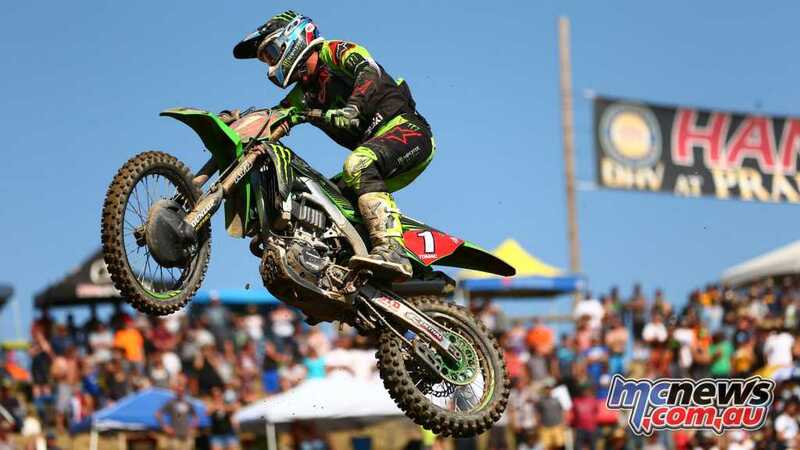 After finishing a solid fourth in the opening moto, Forkner was forced to pull out of the second moto and according to a post on his Instagram, Forkner’s holeshot device released out of the gate and the bars came up and slammed his chest. 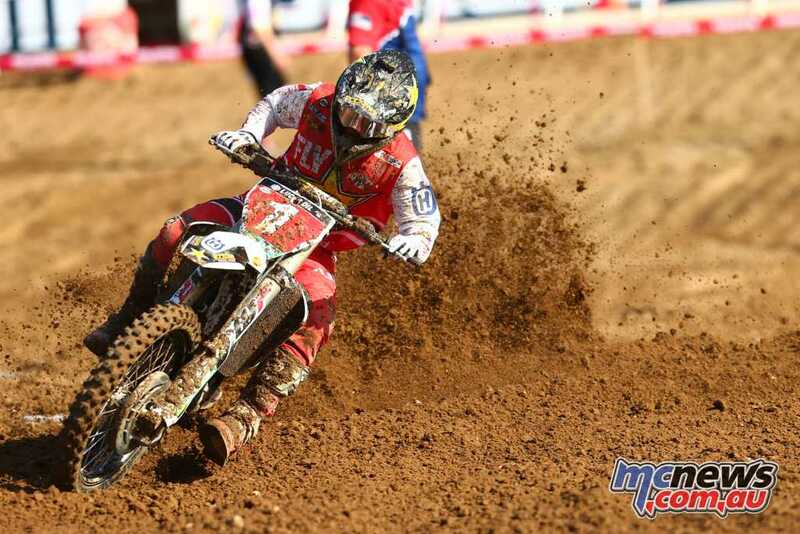 Aussie Hayden Mellross was running well inside the top 20 in the opening moto before crashing out of the race which resulted in not lining up for the second moto. 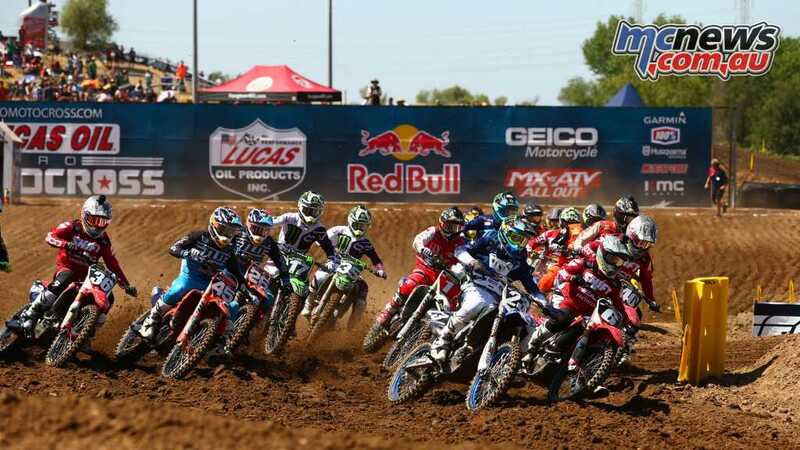 The 2018 Lucas Oil Pro Motocross Championship continues next Saturday, May 26, with its second round from Glen Helen Raceway in San Bernardino, California. 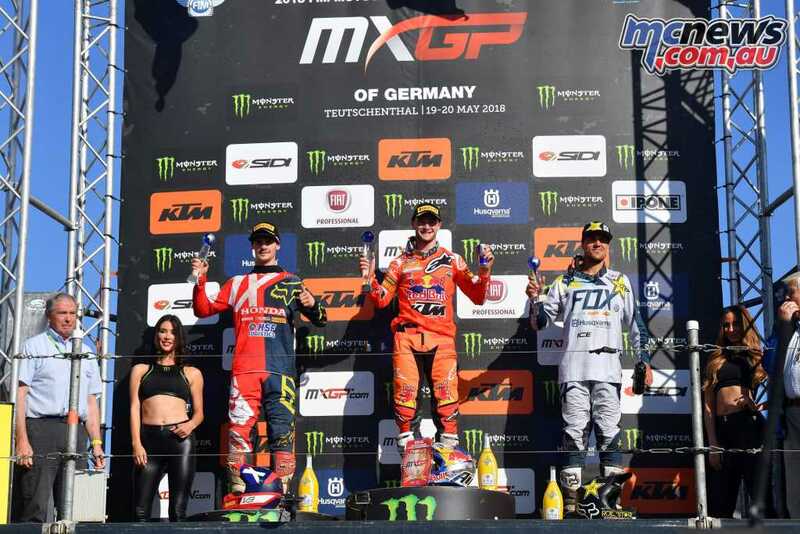 Germany hosted the 8th round of the FIM World Motocross World Championship’s with the MXGP of Germany in Teutschenthal and it was the Red Bull KTM Factory Racing riders of Jeffrey Herlings in MXGP and Jorge Prado in MX2 who took out the overall wins. 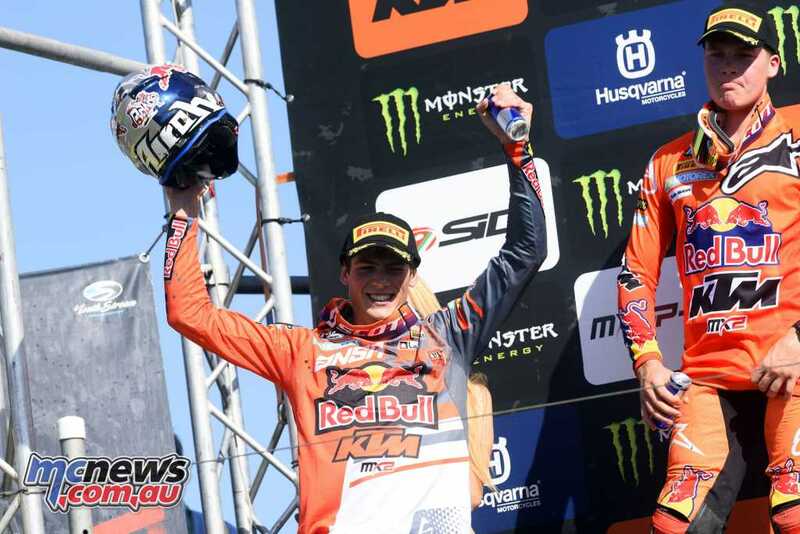 Red Bull KTM Factory Racing’s Jeffrey Herlings continued to add to his winning ways this weekend with double race wins and both were by substantial margin over Team HRC’s Tim Gajser and Rockstar Energy Husqvarna Factory Racing’s Gautier Paulin. 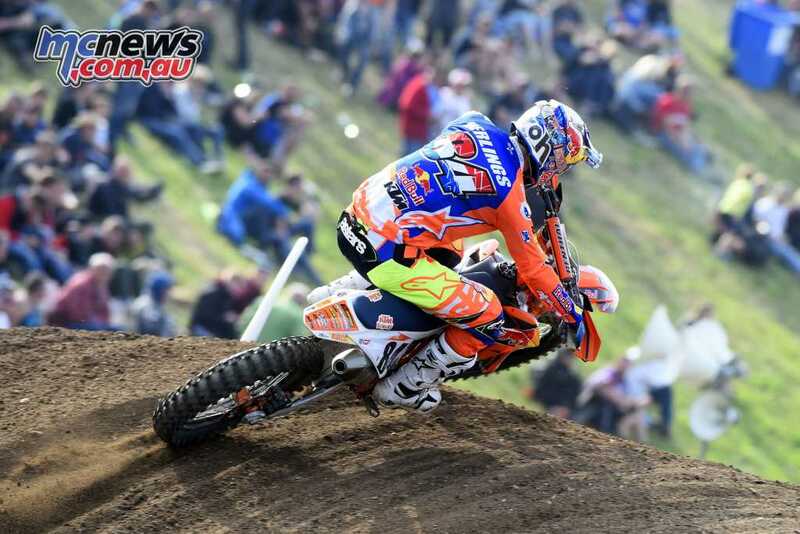 As for Cairoli, the Italian just didn’t have things go his way this weekend to score his worst weekend of the year with 6-5 results for 6th overall and he now trails Herlings by 48 points – Antonio needs to start taking moto wins from Herlings at the very next round if he seriously wants to add to his championship tally. 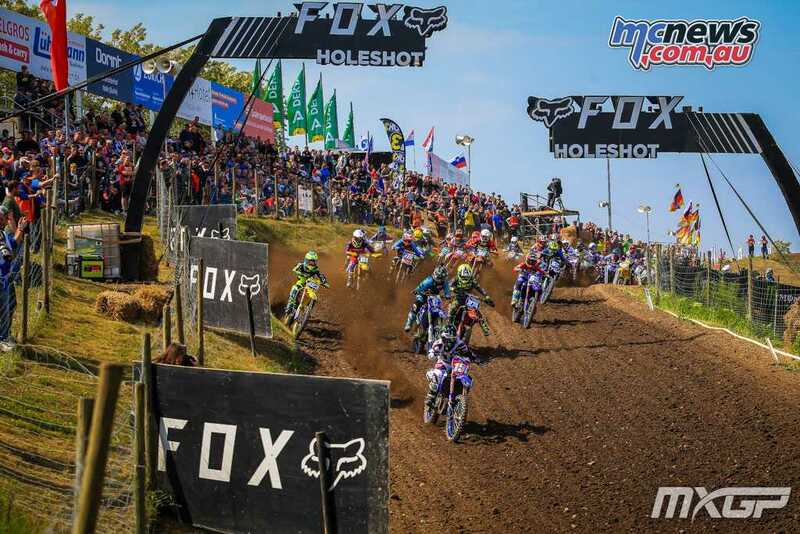 Championship leader Pauls Jonass scored a narrow win in the first moto over Prado, Calvin Vlaanderen, Ben Watson, Henry Jacobi, Michele Cervellin and Jed Beaton but in the second moto Prado won by 5 seconds over Jonass who in turn had a fair margin back to Vlaanderen, Watson, Thomas Kjer Olsen and Beaton. 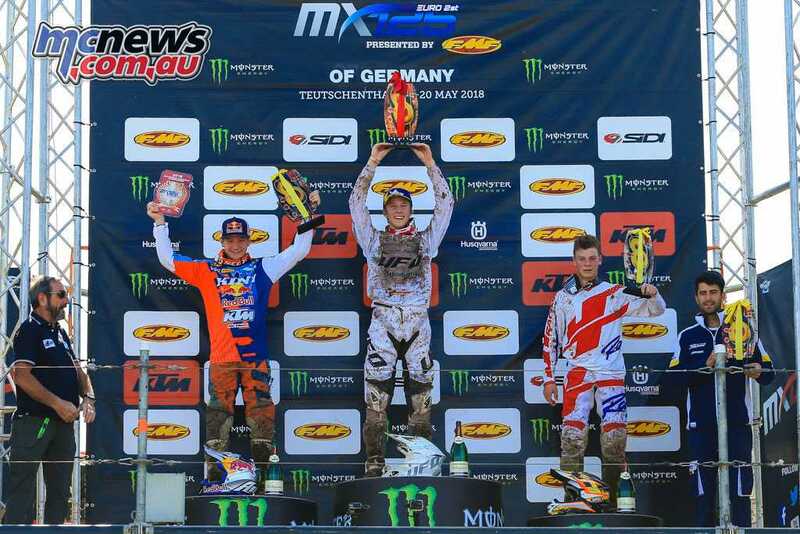 Calvin Vlaanderen reached his first podium of the 2018 MX2 season. 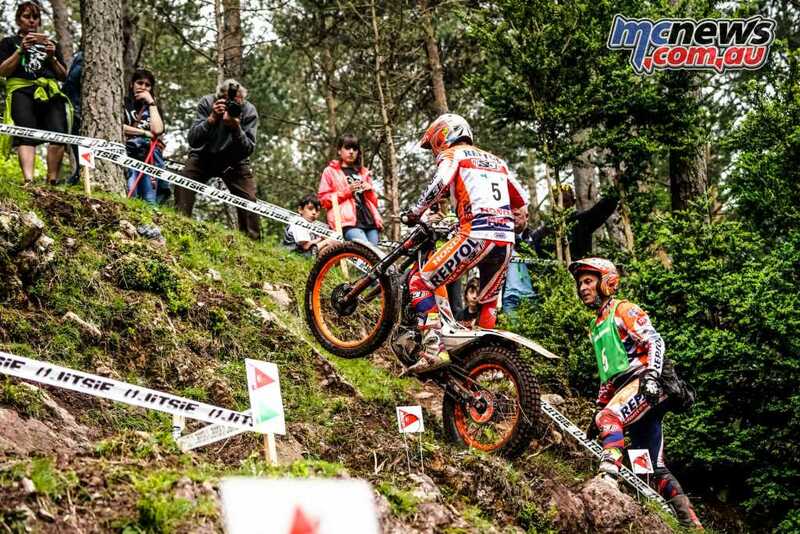 Despite a crash in the first moto involving Thomas Ker Olsen who, in his infinite stupidity, decided to scrub a jump while they were side-by-side bringing both riders to the ground, the Aussie hard charger Jed Beaton ended the day with fifth overall to maintain the same position in the championship. 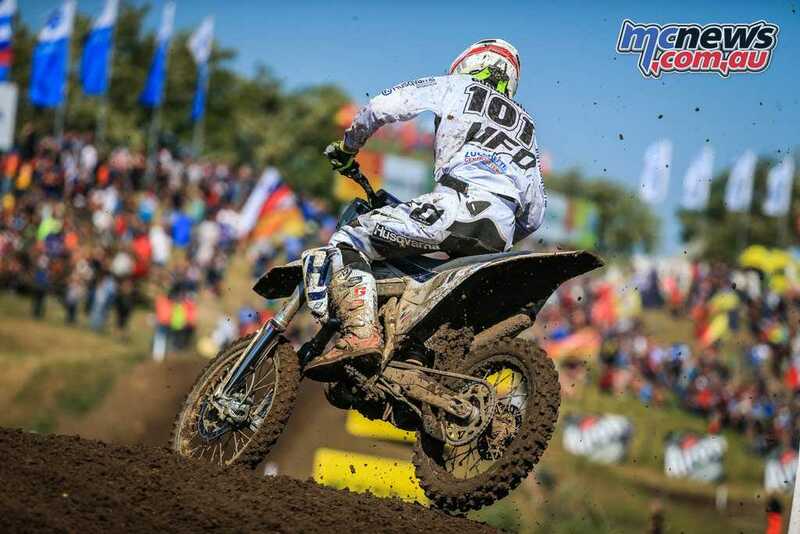 The MXGP of Germany at Teutschenthal hosted the European Motocross Championship’s EMX125 class and topping the 88 riders who entered at the end of the weekend was Team Maddii Racing Husqvarna’s Mattia Guadagnini with unbeatable 2-1 finishes. 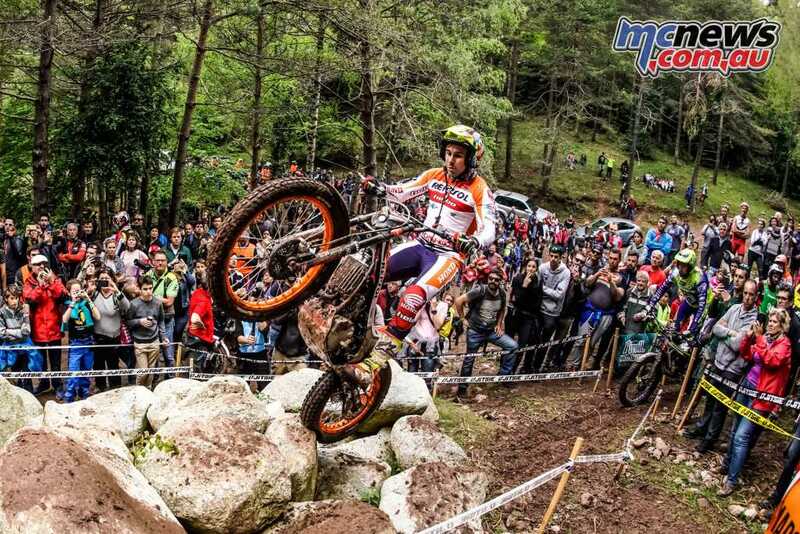 KTM Junior’s Rene Hofer won the opening moto over the Husqvarna of Guadagnini and Jezyk Racing team’s Eddie Wade but in moto two Guadagnini took his first ever race win over Hofer and Meico Vettik so Guadagnini scored the overall win while Hofer extended his points lead to 48 points over Thibault Benistant who was fourth overall in Germany. 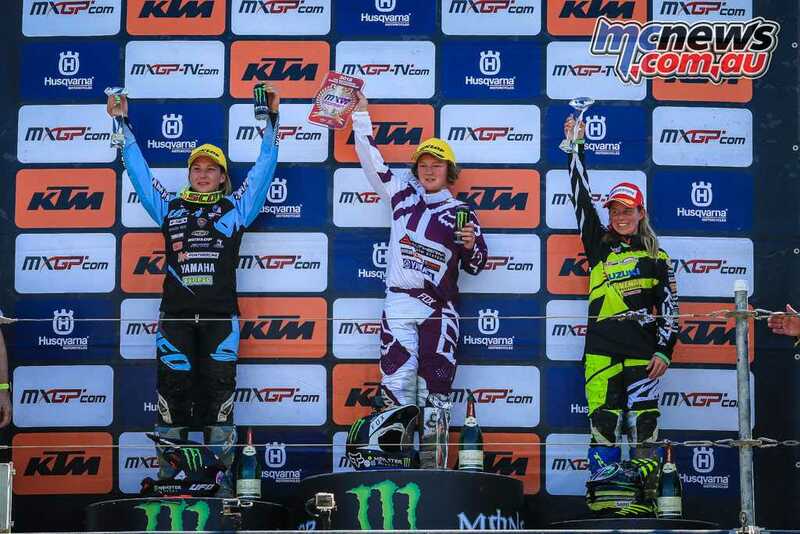 The third round of the FIM Women’s Motocross World Championship played out over two days on the German circuit of Teutschenthal last weekend and it was Altherm JCR Yamaha’s Courtney Duncan who provided a masterclass for her competitors taking double race wins. 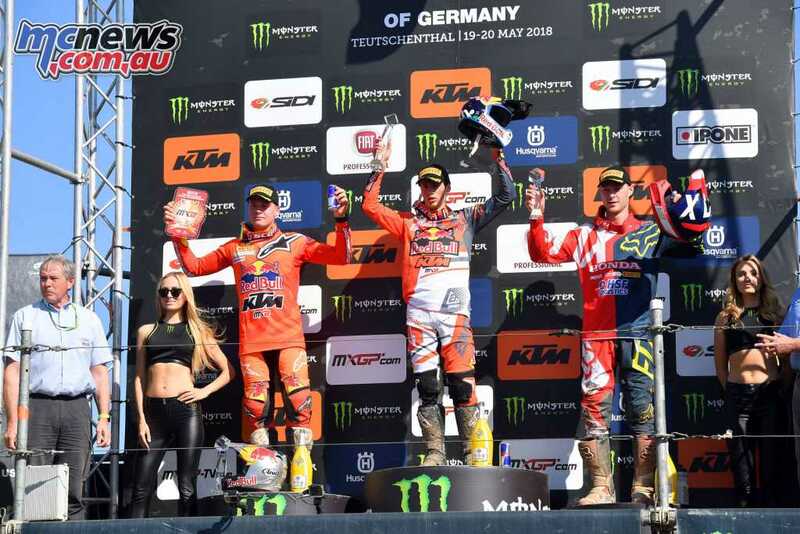 Duncan won the opening moto by six seconds over Kiara Fontanesi, Nancy Van De Ven and Larissa Papenmeier then in the second moto Duncan ended with a winning margin of 15 second ahead of Fontanesi, Papenmeier and Van De Ven. 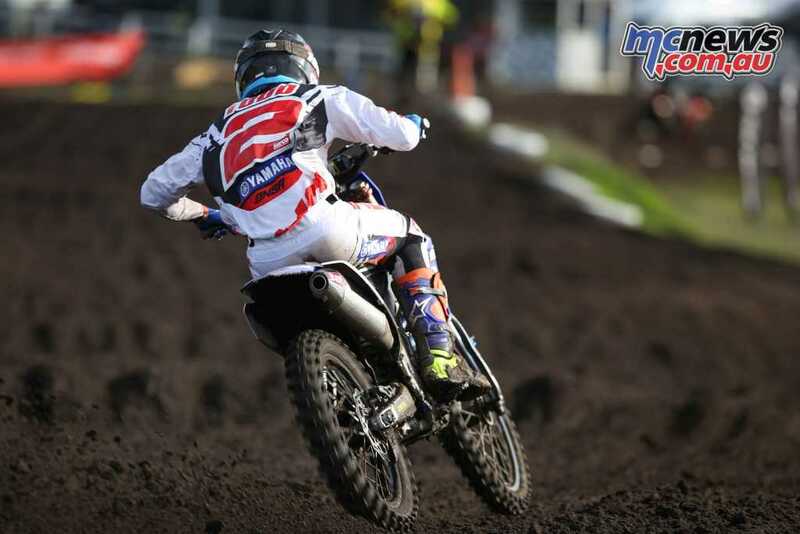 Dean Ferris has completely dominated the proceedings at the first of two MX Nationals double headers that was held in the Victorian town of Wonthaggi last weekend and in doing so the Yamaha pilot has extended his championship lead to an incredible 58 points over MX1 class rookie Mitch Evans. 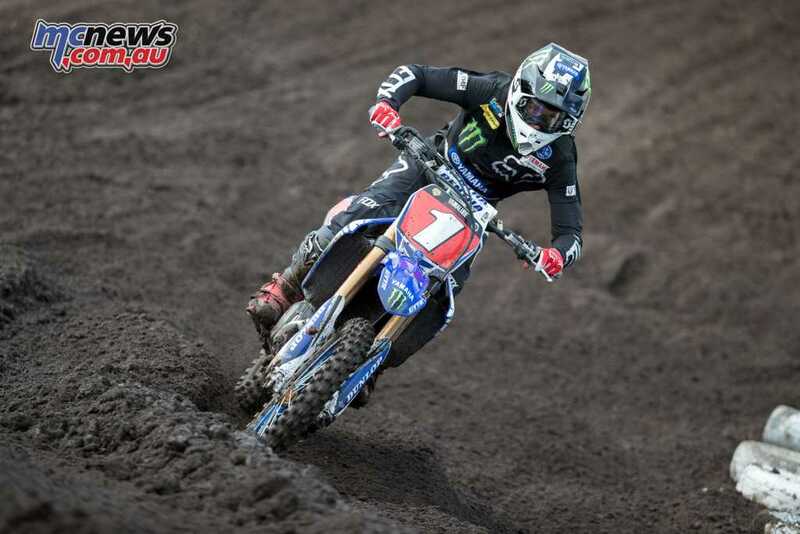 Ferris, Mitch Evans, Luke clout, Caleb Ward and Kiwi Rhys Carter rounded out the top five on Saturday then on Sunday it was Ferris, Evans, Kade Mosig, Kirk Gibbs and Dylan Long who earned top five overall finishes. 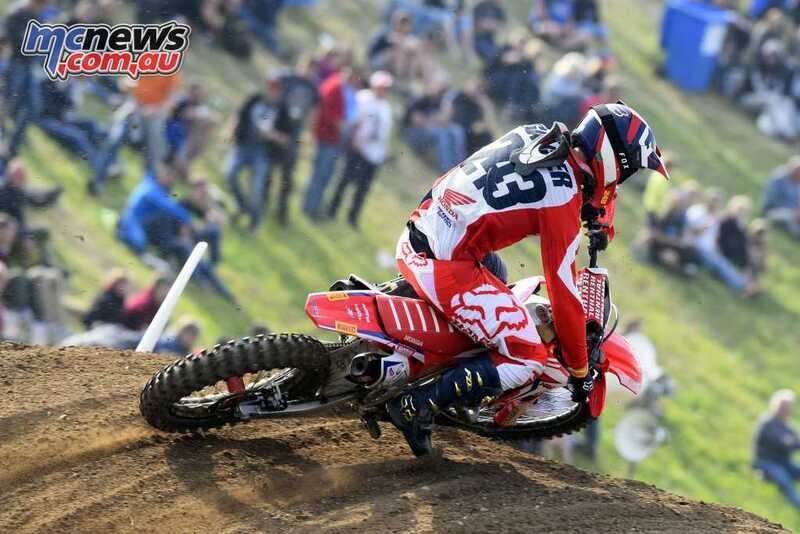 Honda’s Kyle Webster topped the overall points on Saturday ahead of then championship leader Nathan Crawford, Wilson Todd, Jay Wilson and Egan Mastin then on Sunday Todd bounced back for the overall win ahead of Mastin, Kiwi Hamish Harwood, Aaron Tanti and Jy Roberts. 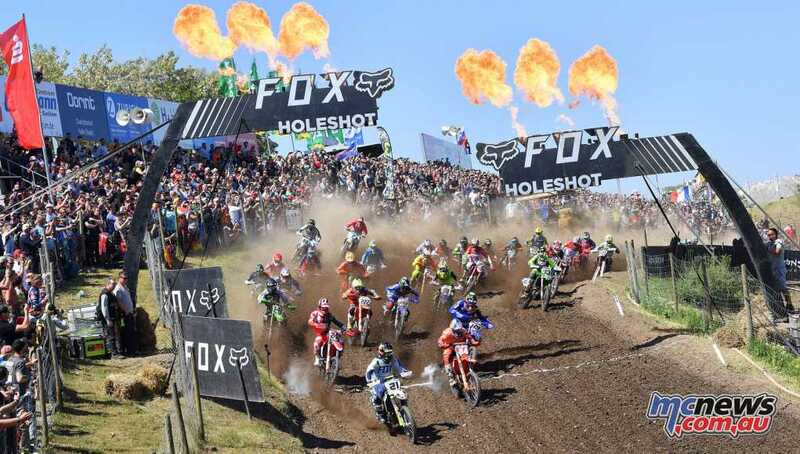 Bike issues and a shoulder injury forced former points leader Crawford out of the final moto on Sunday early, effectively gifting a 16-point championship lead to his team-mate Todd while Jackson Richardson crashed out of the second moto on Saturday and dislocated his shoulder. 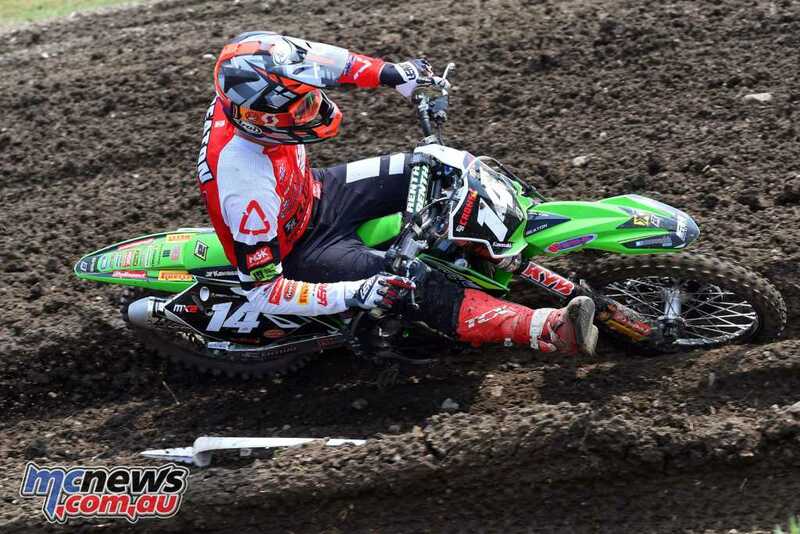 Kiwi Max Purvis has won both days of racing in the MXD class while championship leader Bailey Malkiewicz scored second place in both days to extend his championship lead over Morgan Fogarty to 20 points with Callum Norton, who scored fourth overall on both days is a further seven points back. 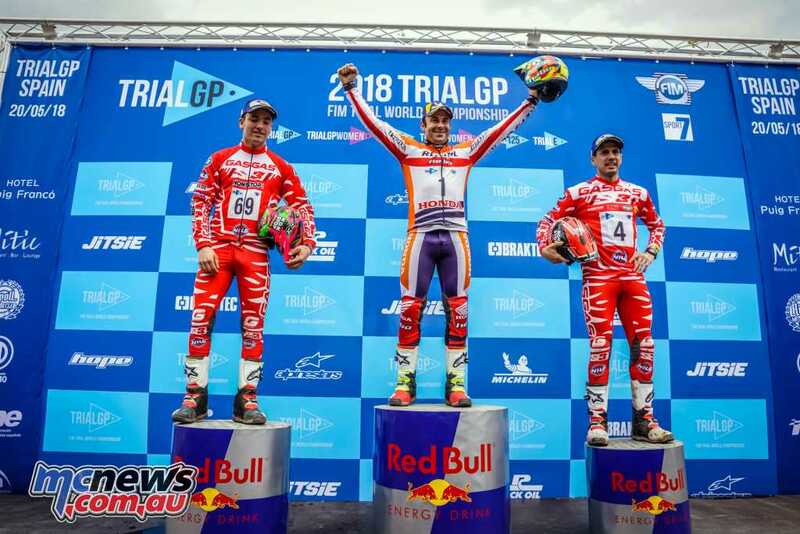 Despite finishing back in 11th during Saturday’s qualifying round, defending champion Toni Bou opened the TrialGP campaign with a predictable win in Camprodón. 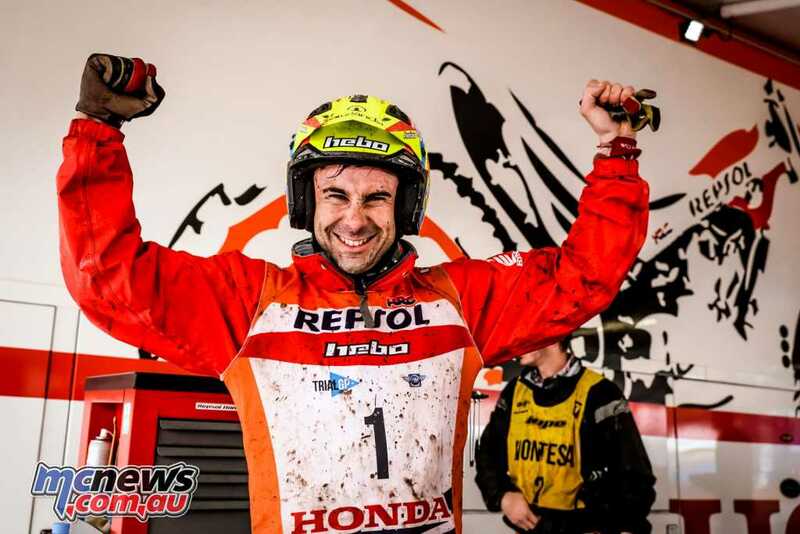 Sunday’s trial was held over an eight-kilometre, fifteen-section course which proved to be a tough ride given the intermittent but intense rain, with riders forced to negotiate delicately through the perilously muddy conditions but the difficulties brought out the best of Toni Bou whose triumph establishes him as the season’s first overall leader. 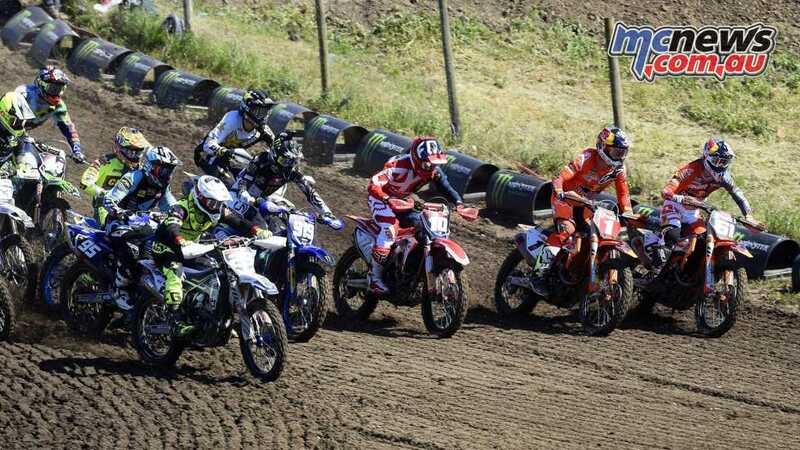 The next TrialGP World Championship round will be held at the Motegi circuit in Japan, over two days. 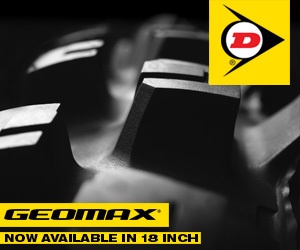 Qualifying is scheduled for June 1st, with the main event over the two following days. The 2018 Central Coast Cup dirt track motorcycle meeting is on this weekend (May 26 and 27) at the Allen Park track at Somersby. In terms of the number of competitors and its prestige this is arguably the biggest motorsport event on the Central Coast this year. The Central Coast Cup meeting has in its short history established itself as one of the major non-championships meetings on the dirt track calendar. One reason for the on-going significance of the meeting is the honour roll of winners in both the senior and junior (13 to Under 16s) classes since its inception in 2005. 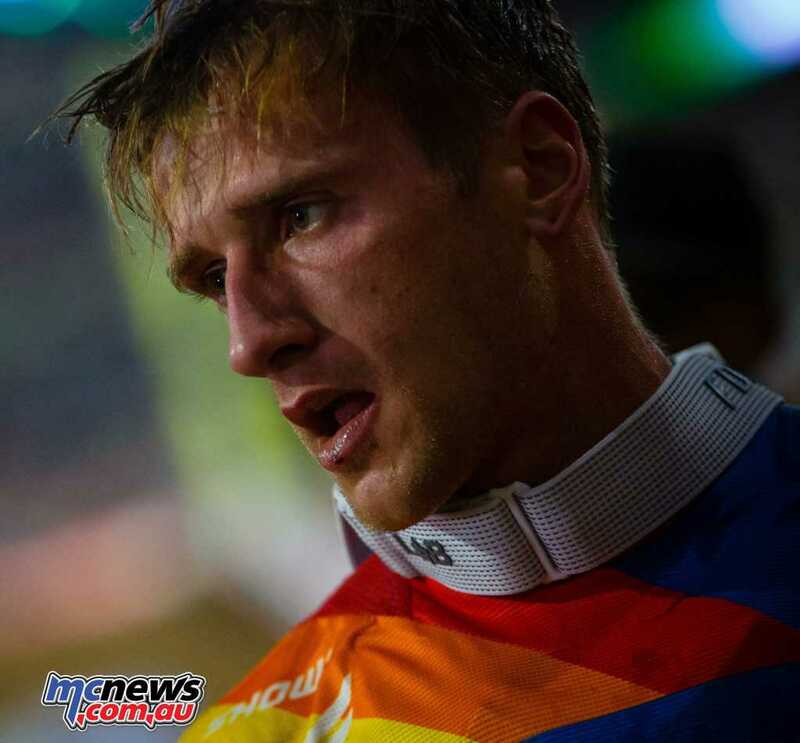 The senior class has invariably been won by previous, or future, Australian champions and even a future world champion. This weekend will see four previous winners of the Senior Cup among the entry list. 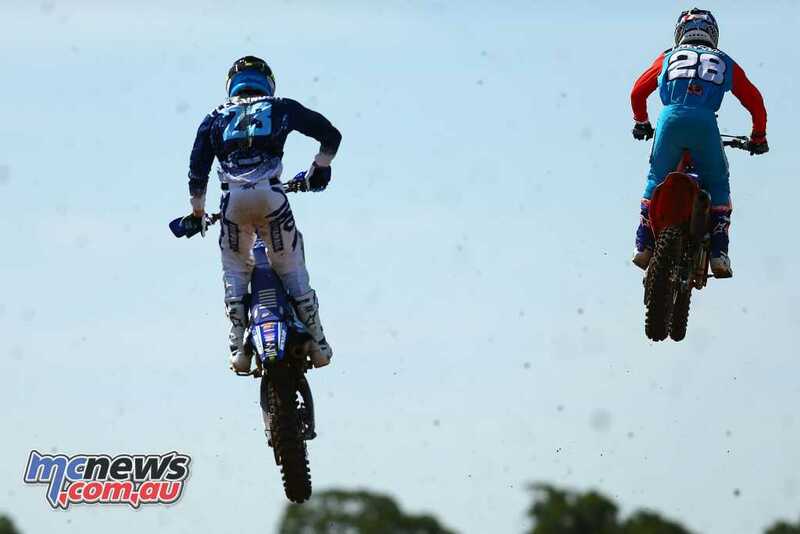 Luke Gough won the inaugural staging of the event back in 2005 and is still a force to be reckoned with as he takes on dual winner from 2015 and 2016 David Smith, and the only two riders who have won both the Junior and Senior Cup events – Sean McLellan and Jarred Brook. 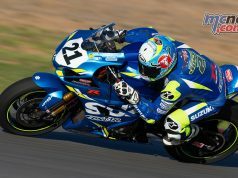 Defending champion Brook has been concentrating on road racing this year but success in the recent Queensland Championships showed he is the rider to beat. 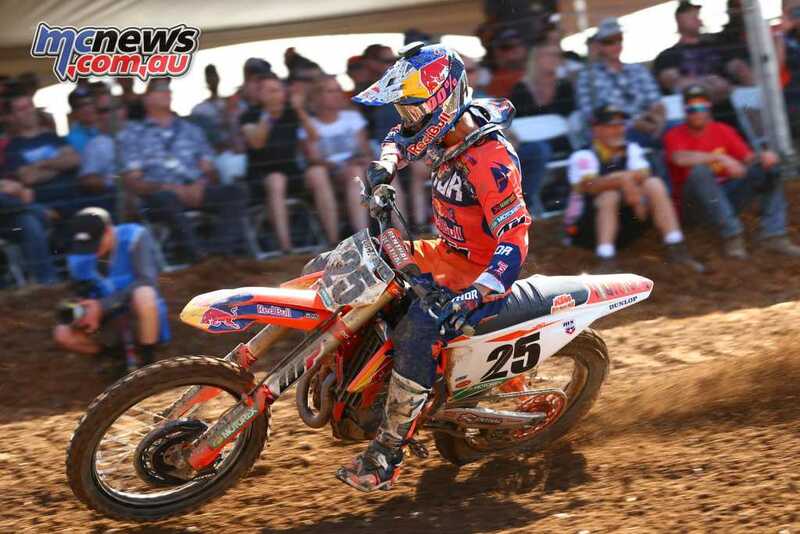 If there is to be a new name added to the honour roll of senior winners this year the stand-out contender is teenager Mackenzie Childs who came out on top of meetings at Kurri Kurri and Raymond Terrace earlier this year. With last year’s Junior Cup winner Jordan Ussher now moved in to the senior ranks there will definitely be a new name on the Junior honour roll. 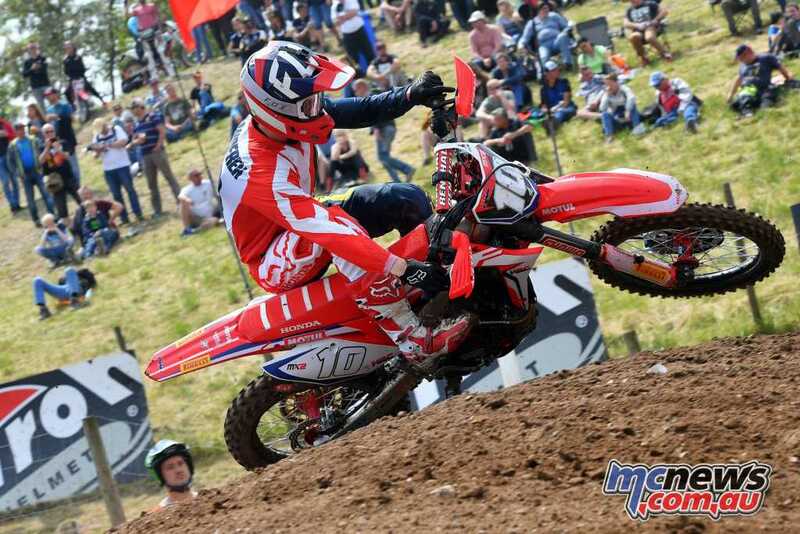 Leading contenders appear to be the very in-form Singleton rider Ryan Smith, local Harry Ryan and a duo from Melbourne, Max Berry and Zane Kinna. 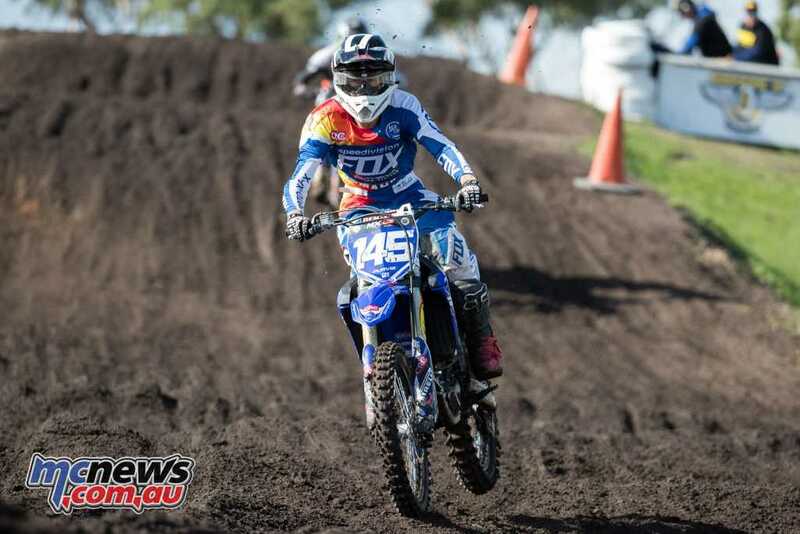 The younger age brackets will have to wait to be able to chase Central Coast Cup honours but their racing invariably provides plenty of close, hard-fought racing which augers well for the future of the sport. 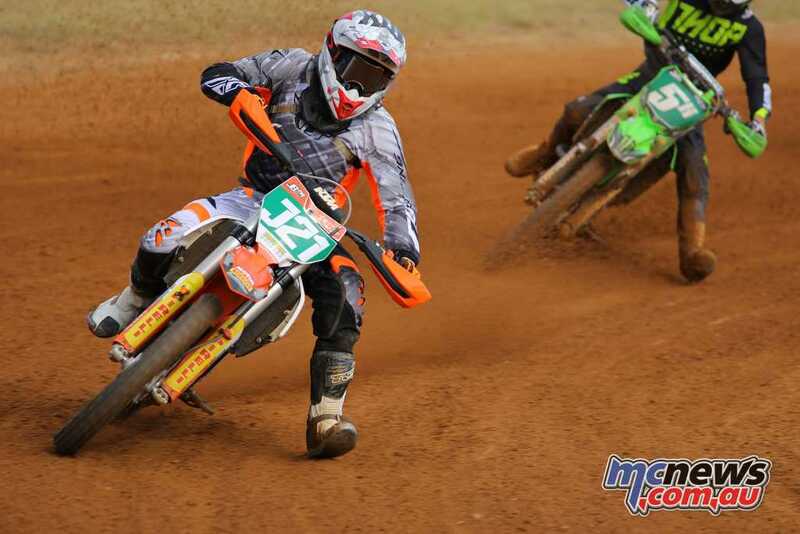 All junior riders will use this weekend as a shakedown for the New South Wales Junior Dirt Track Championships at the Somersby track on September 15 and 16. 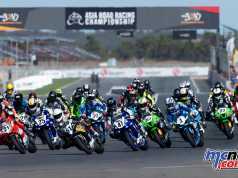 The 8-lap finals of both the Junior and Senior Cup will wrap up the program on Sunday afternoon, but racing through both days will cater for all categories in the seniors and all age groups in the juniors. Entry fee for spectators this weekend will be $5 per vehicle payable at the gate as a tax deductible donation to the St Johns First Aid. Proceedings get under way with State MP Mr. David Harris officially opening the meeting, prior to practice, at 9.30am on Saturday with the first round of competition to follow, while racing gets underway at 10 am on Sunday. The Allen Park track is situated at Debenham Road North, Somersby. For more information about the Central Coast Junior Motor Cycle Club check out the club’s website www.ccjuniormotorcycleclub.org.au (link).